Contact our 24/7 customer care operators for a fast and completely free offer for our end of tenancy cleaning service. We've been offering the domestic and commercial residents of Bromley Town BR1 with a professional end of tenancy service since 2005. Excellent Carpet Cleaning is recognised as a major and top preferred end of lease cleaning company by a developing number of pleased clients in the location. 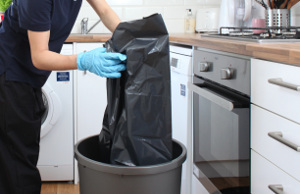 Through the many years, we have developed a specific tenancy cleaning register, that has been approved by a wide variety of estate agencies, landlords and property managers, based on their requirements and manage of the final results of the cleaning at the end of your tenancy that they do just before giving their bond back. The move out cleaning service is suitable for: tenants, landlords, agencies, as well as for people who are buying or offering a property in the area. To reserve us for carrying out the cleaning when relocating, you should first of all ensure that your personal items will be moved out in advance. If you have problems with the moving out procedure, our company in addition provides specialized packing and man and van services to help you move. Our perfectly-equipped and ready cleaning team will come to your property and will use all resources and alternatives necessary to diligently clean the whole property in accordance to the comprehensive tenancy cleaning checklist. This unique service is not limited in time frame, so the cleaners will maintain cleaning until almost every job is inspected. The cleaning includes top to bottom cleaning of almost all rooms, steps, hallways, your kitchen and the bathroom. It can include exterior cleaning too. For the property owners and real estate agencies, we provide expert regular cleaning and pre-tenancy cleaning services also. The more of our services you reserve - the bigger the discount rates you will get for them, so make certain to reserve our end of tenancy cleaning service or a combination of our services right now! Call 020 3404 0500 or you can send us an online booking request using the contact form here. The client care staff is available for you 24 hours a day. You will get affirmation within 2 hrs. There is no deposit for booking. The rate is set, with no hidden charges. We can do an urgent situation, same-day end of tenancy cleaning. Otherwise, we are available twelve months per year. The earlier you book our service - the better the price will be!